We have reviewed some really cool products to add into our Valentines Day Guide but sadly, the men usually get the short end of the stick on the specialty stuff. Not from King Manes though! They are catering to the Kings in our lives! We just got this awesome Beard Balm that protects and soothes skin and face areas. For Aron, this is perfect because he has sensitive skin, to begin with. He gets dry patches even during nice weather. It even keeps it from breaking. Yes, beard hair breaks just like head hair. It needs protection too. The purpose of a beard balm is to moisturize, conditions, and soften the beard. It even helps style your beard. From a woman's point of view, a beard can be super scratchy if it's not cared for the right way. The King Manes Beard Balm is in a 2oz bottle that's easy to manage and use. It's natural ingredients give it a clean scent that isn't too overpowering. I mean really, we spend countless hours fixing the hair on our heads to make it soft and manageable. Why wouldn't a man want the same luxury for his face? I know when I snuggle up to Aron, I don't want his scraggles making me itch. When his beard is soft, it's so much more inviting. Ladies, have you ever went in for a kiss and a wild hair pokes your nose? Or dragged your cheek? Yikes, it can be a tad uncomfortable. 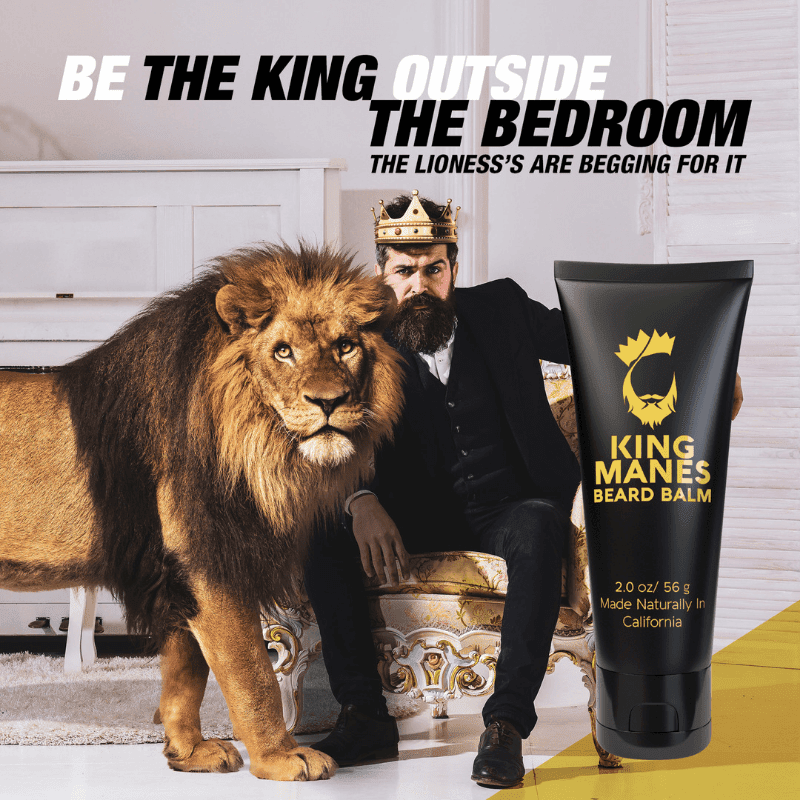 King Manes Beard Balm stops those irritations for everyone involved. The natural ingredients include pumpkin, avocado, lavender, and other essential oils. 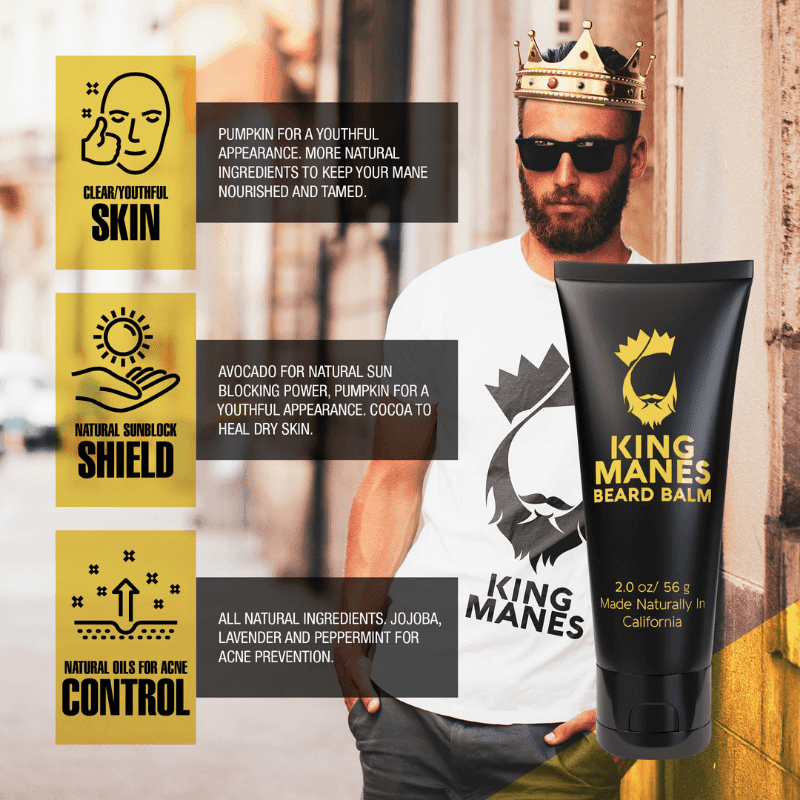 Did you know that King Manes Beard Balm also has natural ingredients to help with acne? Peppermint, JoJoba, and other ingredients. So, what's in King Manes Beard Balm to make it exceptional? It's natural for starters. It's made in the US under strict FDA guidelines. That makes me feel so much better about him using it. I don't have to worry about chemicals making his sensitive skin worse. You can check out the King Manes products on Amazon.